Eliza Electa Haughton married Herschel Harrison Hatch in Jun 21, 1864 at Morrisville, NY, USA. Carrie (?) married Charles B. Haughton, son of Augustus Haughton and Maribee Crawford Mills. Amelia B. Tayntor married Charles B. Haughton, son of Augustus Haughton and Maribee Crawford Mills, in Jun 20, 1863 at West Eaton, NY, USA. 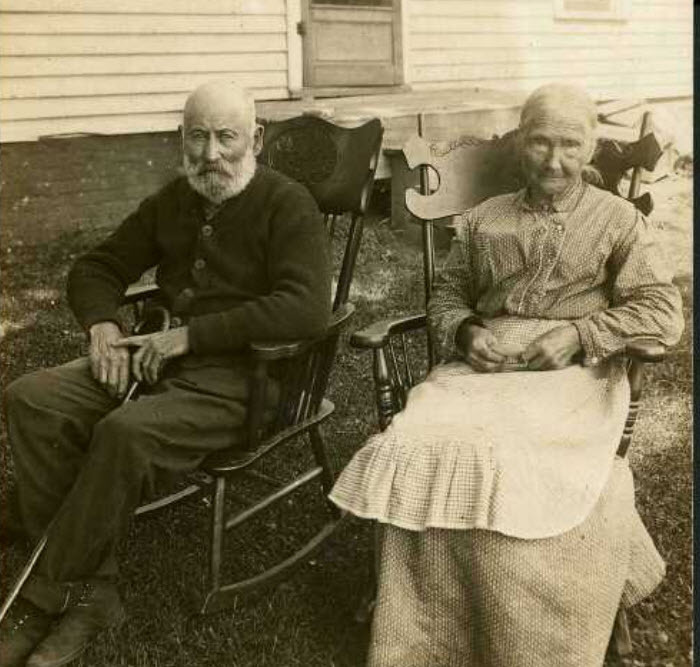 Mary Ellen Haughton married Frederick William Dunham in Oct 2, 1872 at Bay City, Bay Co., MI, USA. Emma Augusta Haughton married Frederick William Dunham in Sep 30, 1889 at Bay City, Bay Co., MI, USA. Frederick William Dunham married Mary Ellen Haughton, daughter of Augustus Haughton and Maribee Crawford Mills, in Oct 2, 1872 at Bay City, Bay Co., MI, USA. Frederick William Dunham married Emma Augusta Haughton, daughter of Augustus Haughton and Maribee Crawford Mills, in Sep 30, 1889 at Bay City, Bay Co., MI, USA. Cecelia Haughton married George A. Guilder in May 19, 1874. Marian Sylvania Roop married Hiram William Haughton, son of Lyman Haughton and Keren Happuck Woolverton. Lizzie Elva Haughton married Charles E. Hunter in circa 1878 Mar 22 y in 1900 census. Melva Haughton married William Dale. George R. Ferguson married Ruth Ann Haughton, daughter of Lyman Haughton and Keren Happuck Woolverton, in Jun 11, 1866 at Washington Twp, Lucas Co., OH, USA. Helen Georgia Ferguson married Ralph Cox. Helen Georgia Ferguson married Ephraim C. Hinkle, son of Stephen Edgar Hinkle and Hattie Cass, in Jun 16, 1897. Haughton James Ferguson married Lena Hinkle, daughter of Stephen Edgar Hinkle and Hattie Cass. Keren Rebecca Ferguson married David Pierce. David Pierce married Keren Rebecca Ferguson, daughter of George R. Ferguson and Ruth Ann Haughton. Michael J. Best married Adelia Jane Haughton, daughter of Lyman Haughton and Keren Happuck Woolverton, in Jun 11, 1866 at Lucas Co., OH, USA. James Orin Best married Lillian Cooper. Althea Margaret Best married Edgar Ebenezer Thompson. Lyman Alfred Best married Blanche McAllister.